Law graduate from the Pontifical Catholic University of Minas Gerais – PUC/MG. Master degree in Public Law with emphasis on Tax from PUC/Minas. MBA in Audits, Finance and Auditing from FGV. Specialist in Tax Law from the IEC-PUC. Development of Entrepreneurs – Executives & Shareholders. (Babson College-MA). Senior Consultant for Planning and Tax in Winter Carvalho Advogados law firm. Former assistant professor in the Pontifical Catholic University. Former Project advisor in the Minas Gerais Legislative Assembly. Former consulting partner in Data Legis Tax and Government (2003). Lawyer specializing in Public Law. Tax law consultant. Member of the Legal Hermeneutics Institute - IHJ. Associate of the National Council for Teaching and Graduate Studies in Law (CONPEDI). Member of the Brazilian Academy of Tax Law (ABDT). Member of the Fiscal Studies Institute (IEFI). 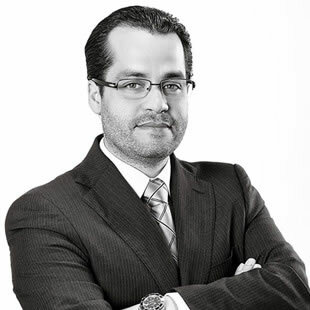 Member of the Brazilian Association of Tax Law (ABRADT). Member of the Brazilian Foundation of Economic Law (FDBE). Master Associate of the São Paulo Tax Law Association (APET). Active Member of the Special Tax Law Commission of the Brazilian Bar Association - Minas Gerais- OAB/MG.